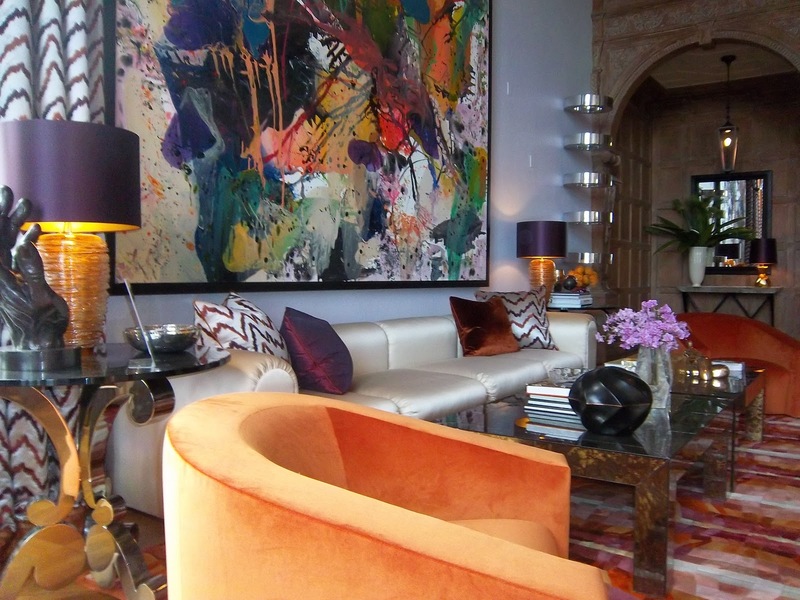 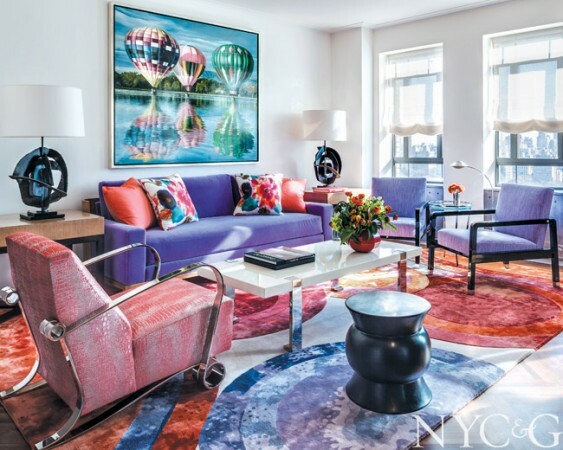 Interior designer Jamie Drake is no stranger to color. His interiors vibrate with energy and personality. 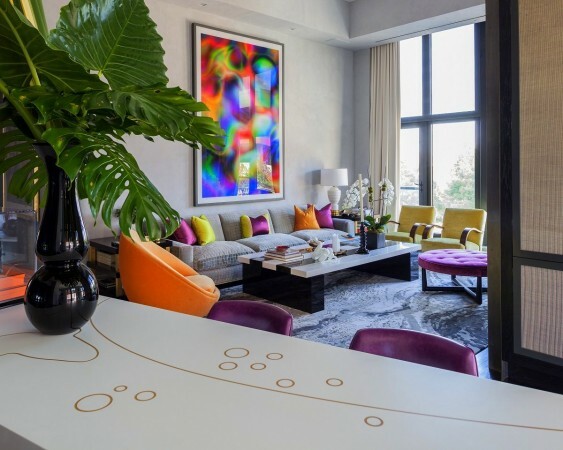 He uses color fearlessly and intuitively to connect the spaces he designs. He merges traditional style with contemporary in a seamless blend. 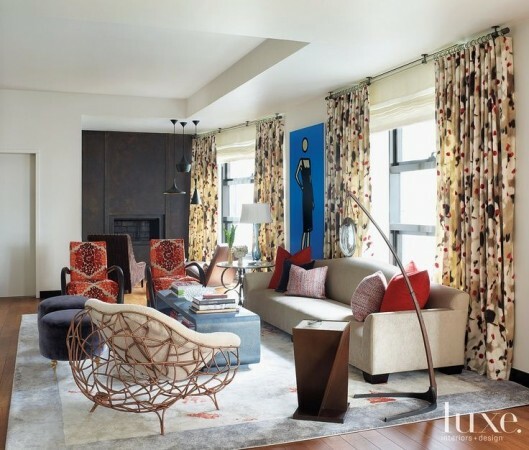 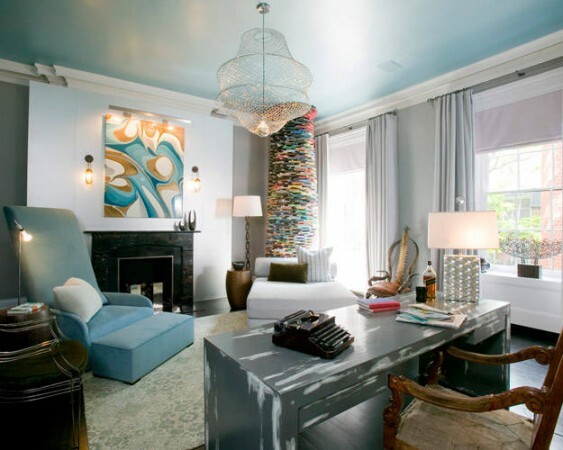 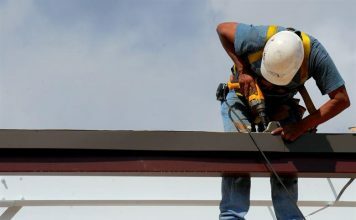 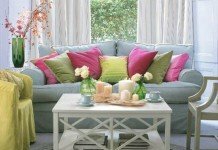 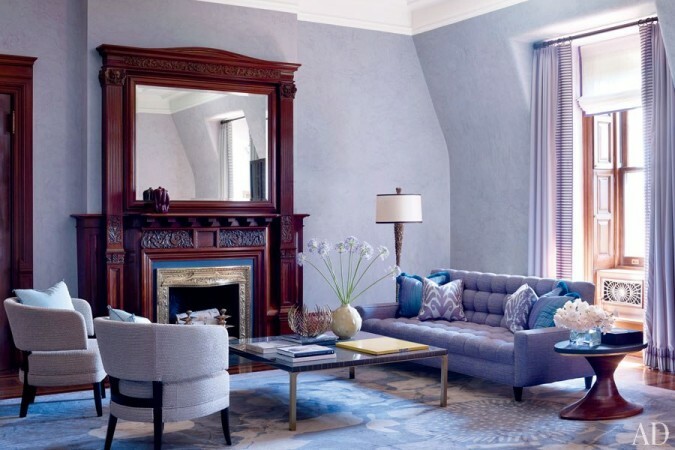 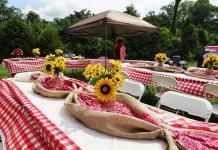 He describes his style as “confident, bold, nuanced and witty” (source: House Beautiful). 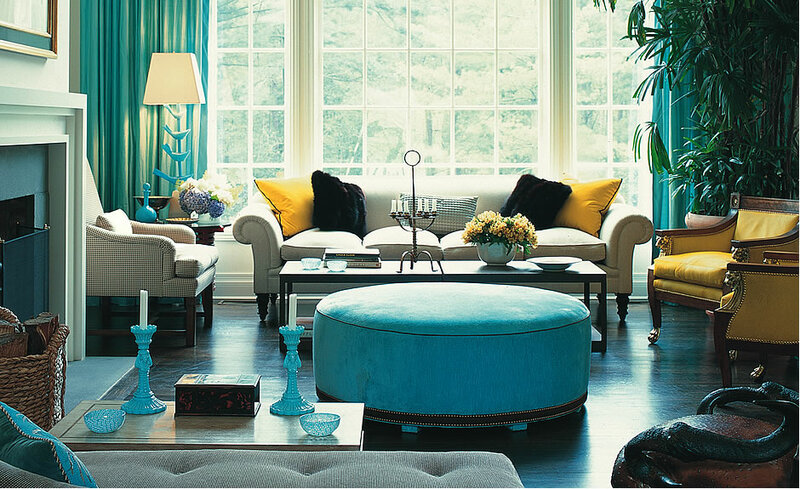 Take a moment to immerse yourself in some of his interiors and learn how, Jamie Drake-style, how color can transform a room. 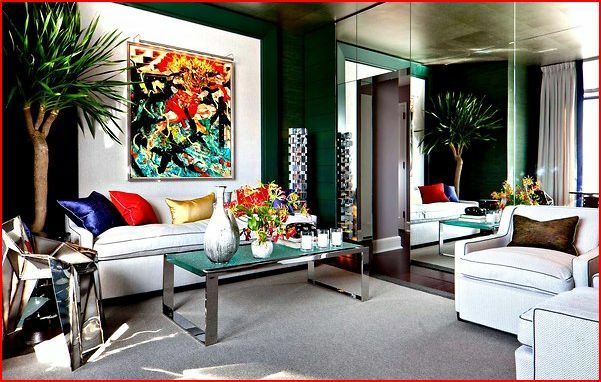 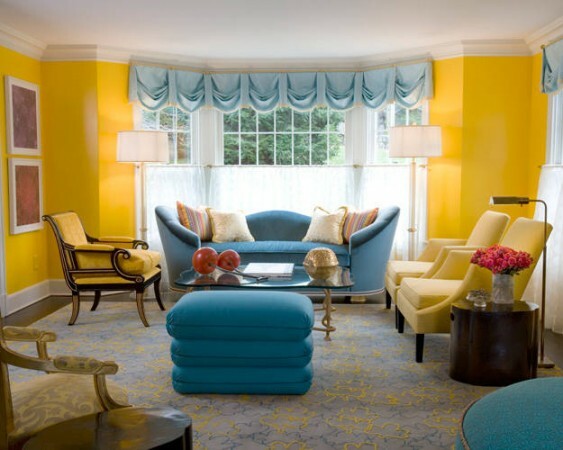 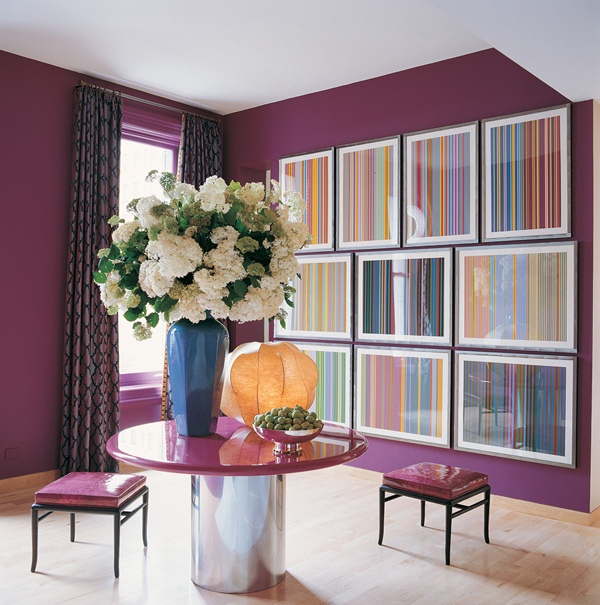 Interiors designed by Jamie Drake are often rich in bold color and exude a modern sensibility to space. Drake took an early interest in color and design, working during high school for a leading New York design firm. 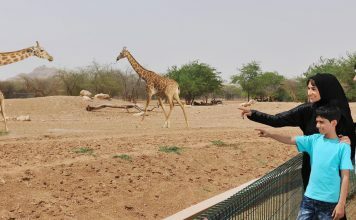 He continued interning while attending Parsons and eventually developed his own firm, Drake Design Associates, immediately following graduation. 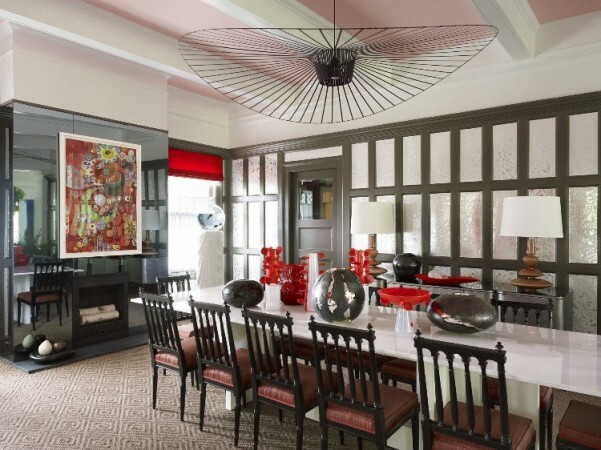 Jamie Drake creates interiors that are designed for the client’s comfort and to express their unique personalities. He infuses his interiors with a sense of style that echoes his keen eye for design, balancing unique finds with color and depth. 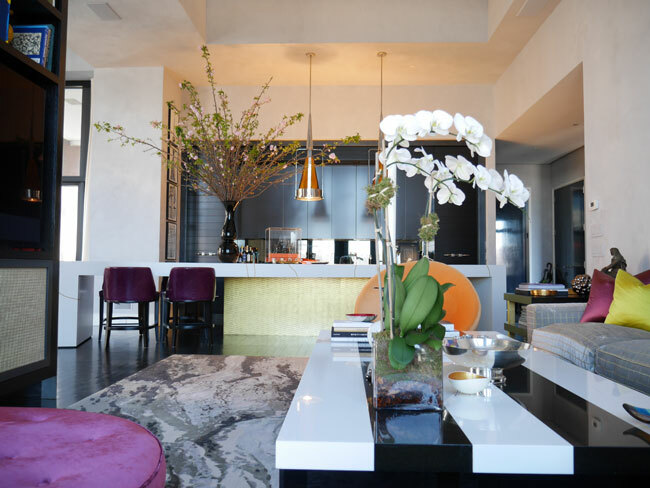 Drake’s interiors have a distinct look that sets him apart from other designers. He manages to smartly incorporate color into all of his designs. 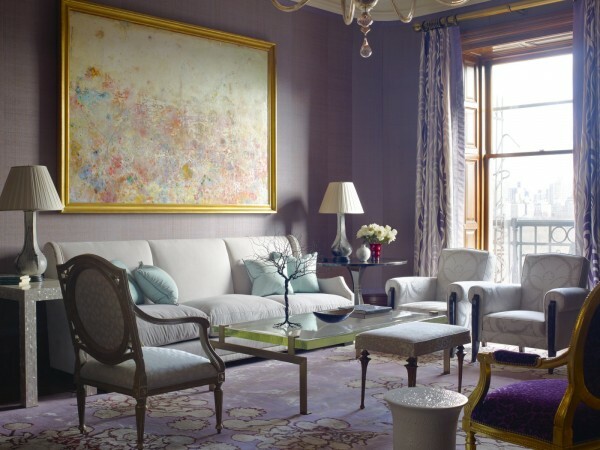 One could claim that Jamie Drake’s signature color is purple, as he manages to work it into many of his interiors. 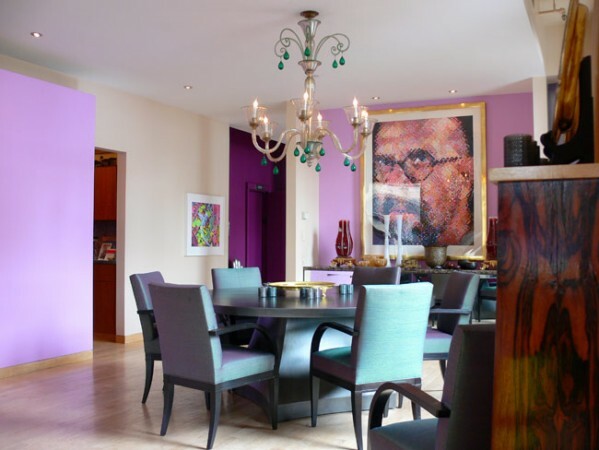 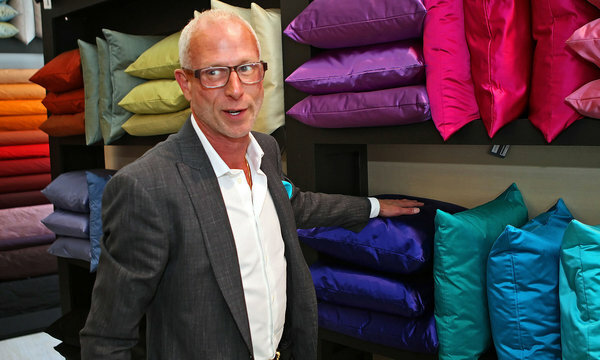 Soft lilac, bright and bold purple or variations of pink and fuchsia mark many of his designs. Jamie Drake’s interiors are fresh, vivid and stylish. 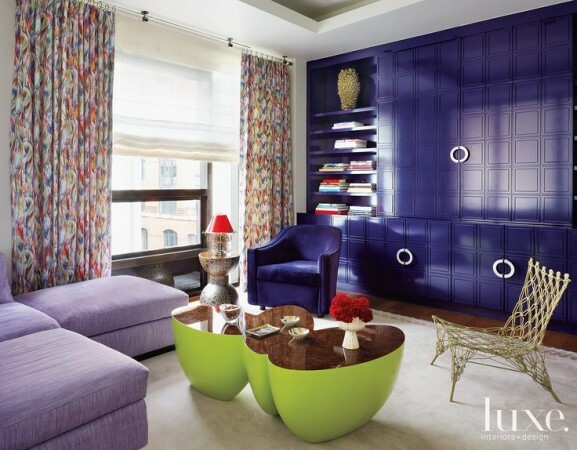 His sense of color is extraordinary and his wit shows through his designs as well. 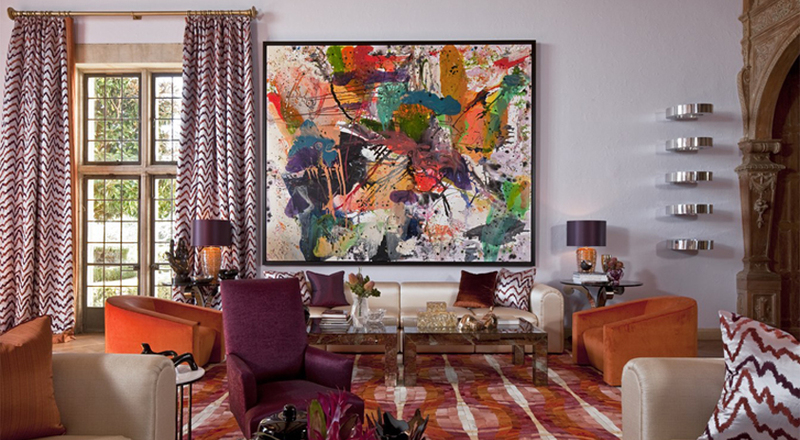 He creates spaces that are inherently space-conscious and portray the personality of his clients. 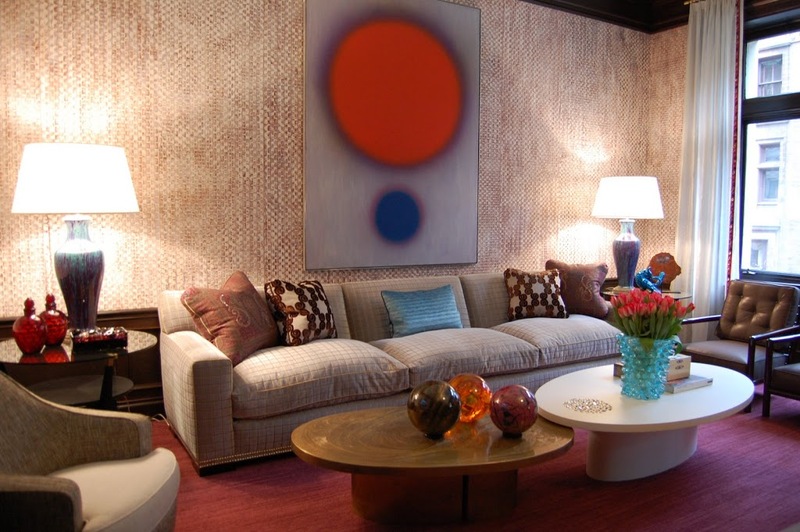 Drake’s designs are quickly recognizable and appeal to traditional and modern aesthetics.